Sanpete Valley and the adjacent Wasatch Plateau in central Utah ring with the history of western settlement and its environmental consequences. During the late 1800s and early 1900s, valley communities were repeatedly hit by catastrophic summertime floods off the Plateau. The Great Basin Experimental Range was established in 1912 on the Manti-La Sal National Forest as one of the first range research stations in the world. Its job was to discover how livestock overgrazing contributed to these floods, and how grazing practices needed to change. 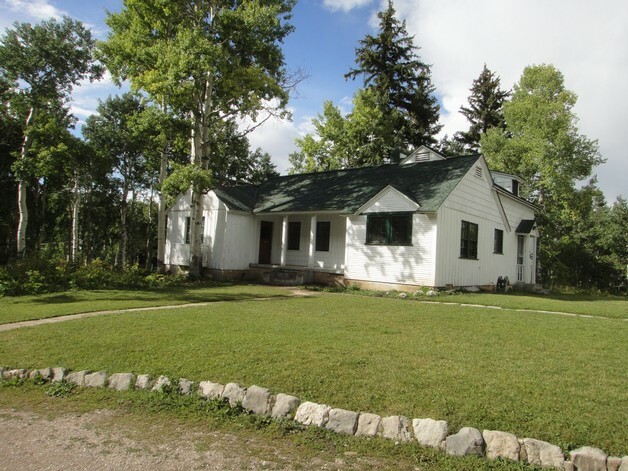 The eleven-building Center is on the Wasatch Plateau in Ephraim Canyon, and is listed on the National Register of Historic Places (NRHP). The connection between the Plateau and the Valley lives on because the facility is now the Great Basin Environmental Education Center, operated by Snow College in nearby Ephraim. This year’s project is, once again, a partnership between the Forest and the college and will complete a variety of maintenance projects. One project in particular will include work on the Alpine Cabin, an isolated cabin located near the head of Ephraim Canyon. Come and enjoy the beauty and unique history of these buildings as you help care for them again this year!